This is a rich dark chocolate brown leather guitar pick case. It has a very sturdy snap closure. 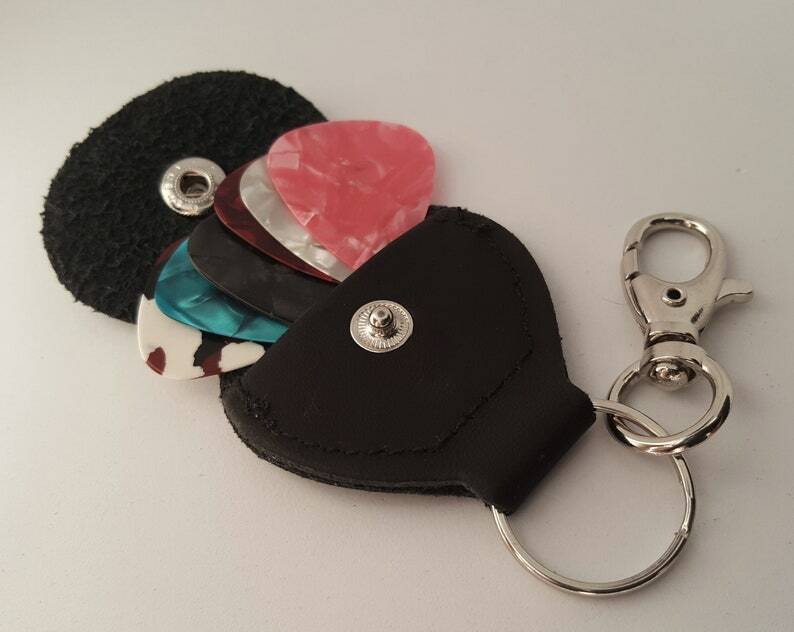 We designed it to use as a swivel clip key chain, so it can clasp to a belt loop, and it will be handy to use at any time you feel like playing a guitar! It comes with random assorted guitar picks.